The formative years – childhood in the newly born state of IsraelI was born in Haifa, a port city in the northern part of Israel, in October 1947, one month before Israel was recognized by the United Nations (UN) as an independent state. It took several additional months to establish the necessary institutions and for the British to leave, and on May 15th 1948, David Ben-Gurion, the founding father of the modern Jewish state and its first Prime Minister, made Israel a fact and declared its establishment as a democratic state and a home for every Jew in the world. The neighboring, but even more distant Arab countries, along with powerful Arab parties from within, did not accept the UN resolution and deliberately decided to alter it by force. A bloody and costly war erupted. It lasted a year, and more than 1% of the population of the newly born and defenseless state sacrificed their lives on its defense. I assume that the first two years of my life (1947-1949) were extremely difficult for my parents, Bluma (nee Lubashevsky) and Yitzhak, who immigrated from Poland with their families as adolescents in the mid-1920s. Why did their families leave Poland – their “homeland” – their houses, working places, property, relatives and friends, and decided to make their new home in a place with a vague, if any, clear future, that was part of the British Empire? They were idealists who enthusiastically followed the call of the Zionist movement that was established at the turn of the century by Benjamin Ze’ev Herzel – the seer of the Jewish State – to settle the land and make it – after two thousand years in the Diaspora, since the destruction of the temple in Jerusalem – a home for the Jews. Following the Jewish Congress in Basel (Switzerland) in 1896, Herzel declared: “In Basel I founded the Jewish State”. At that time Israel was part of the Ottoman Empire and became in 1917 part of the British Empire. My parents came from religious families, and the move, I believe, had also religious roots: Jews, throughout their lives in the Diaspora, have not stopped dreaming of having their own country, with Jerusalem as its capital, a dream that was driven by a biblical decree and prophecy: “Thus saith the Lord GOD: Behold, I will take the children of Israel from among the nations, whither they are gone, and will gather them on every side, and bring them into their own land” (Ezekiel 37:21); “And they shall dwell in the land that I have given unto Jacob my servant, wherein your fathers dwelt; and they shall dwell therein, they, and their children, and their children’s children, for ever” (Ezekiel 37:25); “And I will rejoice in Jerusalem, and joy in my people; and the voice of weeping shall be no more heard in her, nor the voice of crying” (Isaiah 65:19); “And they shall build houses, and inhabit them; and they shall plant vineyards, and eat the fruit of them” (Isaiah 65:21). The question of timing was an important one, as despite centuries of continuous persecution and discrimination in Europe, the initial idea to establish a Jewish State had been the dream of a few. Only small groups of Jews settled in Israel during the 18th, 19th, and the beginning of the 20th century. It was only towards the end of the 19th century, with the ideas of Herzel and the moves that led to the Balfour declaration (the British Minister of Foreign Affairs, who declared in 1917 the recognition in the need for a Jewish homeland), that an active Zionist movement and institutions were established, resulting in the translation of the dream into reality. Yet, it took an enormous amount of courage and daring by these European Jews to materialize this dream and try to establish, with almost no resources or support, a homeland in a place they had dreamt of for two thousand years, but that was not theirs at the time. The process was clearly accelerated by the heavy clouds that then covered the skies of Europe and that ended with the Holocaust. Many members of my parents’ families immigrated to Israel before the Holocaust, but those who remained in Poland were perished by the murderous German and their loyal Polish collaborators. The conversion of this movement into a State at that particular time (1947-1948) was no doubt the direct historical result of the holocaust, and symbolized the rise of the Jewish Nation from ash. My father was a clerk in a law firm (later – along with my brother – he studied law and became a lawyer), and my mother was a housewife and English teacher. My brother, Joseph (Yossi), who is 14 years older then me, was already on his national military compulsory service when I was 4 years old, the age from which I remember myself. I grew up in Haifa and enjoyed the wonderful beaches and Mount Carmel that rolls into the Mediterranean Sea. From my early days at home I remember a strong encouragement to study. My father worked hard to make sure we obtained the best possible education, and at the same time he was a member in the “Hagannah” (defense), one of the pre-state military organizations that fought the British for an independent Jewish State. Working in a law firm in the Arab section of the city, he risked his life daily going to work during the pre independence war hostilities and then the war time. My brother told me the family was waiting daily on the balcony to see him returning home safely. At home he used every free minute to delve into classic literature, Jewish religious law (Mishnah and Talmud) and modern law books. An important part of the education at home involved Judaism and Zionism. On the Jewish side we obtained a liberal modern orthodox education. We attended services in the synagogue every Saturday and during holidays, and celebrated at home all Jewish feasts. Needless to say that my mother kept a kosher kitchen. It was extremely important for my parents to educate us as a new breed of proud Israeli Jews in their own independent country. My father inherited me with his love of Jewish studies and cultural life. To this very day, along with several physicians and scientists colleagues, I take regular lessons taught by a rabbinical scholar, on how the Jewish law views moral and ethical problems related to modern medicine and science. Jewish cantorial music reflecting prayers of Jews along many centuries has become my favorite music, and I avidly search for this vanishing vocal expression of Jewish culture in flea markets, used records stores, and auctions all over. Also, different Judaica artifacts decorate my study. In parallel, my parents made sure we should receive an excellent general education. My father spoke fluently several languages, Hebrew, Polish, Arabic, French, English, German and Yiddish, and wanted me to acquire his strong love for books: while our home was not a rich one, we had a huge library. My parents also loved classical music, so we had a great collection of 78 rpm, and later 33 rpm records. I remember that Bizet’s Carmen occupied more than twenty, double-sided, RCA (His Master’s Voice) 78 rpm bakelite records. The apparently peaceful life of our family in Israel (although under the British Crown) during the years of the Holocaust in Europe (1939-1945) were overshadowed by the murder of their family members and of many families of their relatives and friends that did not escape Europe in time. For my parents, the establishment of the State of Israel as an independent and sovereign Jewish State was a direct historical result of the Holocaust in Europe and a clear statement of “Never Massadah shall fall again” (Massadah was one of the last strongholds of Jews during the Roman Empire. It fell into Roman hands after a long curfew during which all its defenders committed suicide in order not to fall as prisoners in Roman hands. While aspiring for freedom, they lost their land and lives. They were not ready to live anywhere or under any circumstances, but as free people in their own land). They left us with the idea that the Jewish State will not only protect us as a free people, but will allow us to develop our own unique culture in a more general national context, rather than as minorities scattered in different countries in the Diaspora. From early days I remember my strong inclination towards biology, though it has taken different directions at different times. I remember collecting flowers on Mount Carmel and drying them in the heavy Babylonian Talmud of my brother. I will never forget his rage at discovering my love of nature hidden among the pages of the old Jewish tracts. Then came the turtles and the lizards, and extracting chlorophyll from leaves with alcohol, and the first microscope my brother bought me from his trip to England when I was 11 years old. With this microscope I discovered cells (in the thin onion epithelium) and did my first experiment in osmosis, when I followed the alteration in the volume of the cells after immersing the epithelium in salt solutions of different strengths. With friends we tried to launch a self propelled rocket. The flowers collection kept growing, now in special dedicated albums, and with it, a small collection of skeletons of different animals – fish, frog, snake, turtle, and even some human bones I received from an older friend who was a medical student. After several years of amateurish flirting with biology, I decided to formalize my knowledge and love of biology, and to major in biology in high school. While my years in elementary (1953-1959) and junior high school (1959-1963) were mostly uneventful and passed without any thoughts on my future, the last two years in “Hugim” (circles) high school in Haifa (1963-1965) were not. I had wonderful and inspiring teachers in biology (Naomi Nof), chemistry (Na’ama Greenspon), and physics and mathematics (Harry Amitay) who revealed to me a little of these different and exciting disciplines. Yet, I felt that twice as much was still concealed. Biology at that time was largely a descriptive area. While we studied the mechanism of conversion of glucose to H2O and CO2 and the production of energy in yeast and mammals (and the opposite process occurring during photosynthesis in plants), and became acquainted with simple graphic descriptions of mitotic and meiotic cell divisions, most of our studies were devoted to detailed descriptions of the flora and fauna in our region, to comparative zoology (I remember well the efforts invested in memorizing the twelve differences between the frog and the toad, or between the circulatory systems and skeletal structure of the cat and dog), and to basic descriptive human anatomy and physiology (e.g. how the human skeleton structure enables posture on two limbs). Pathogenetic mechanisms of diseases had not been taught, and the structure of DNA and the genetic code had entered our textbooks only towards the end of our high school studies, in 1964/5. On the other hand, chemistry and physics appeared to me, maybe naively, strong mechanistic disciplines built on solid mathematical foundations. As a result, I had a deep feeling that the future somehow resided in biology, in deciphering basic mechanisms, as so little was then known. Yet, the complexity of biological and pathological processes looked to me enormous, almost beyond our ability to grasp, and I was intimidated: while I was clearly attracted to the secrets of biology, I was afraid to get lost. Importantly, I had nobody around, close enough, to consult, to clarify my thoughts. While deliberating between the largely unknown in biology and what I naively thought were the already well founded physics and chemistry, medicine emerged as a compromise: it appeared to me as representing a balanced mixture of physics, chemistry, basic biology and physiology, along with interesting pathology and social sciences. Adding to this complexity was that during these years I lost both of my parents: my mother died in 1958 and my father in 1964. After the death of my mother, I was left with my father who took wonderful care of me. When my father died several years later, my late aunt Miriam (Wishniak; my mother’s sister), with the help of my brother and sister-in-law, Atara, took me to her home in Haifa, enabling me to seamlessly complete my high school studies in the same class and along with my friends – without interruption. The other option was to move to Tel Aviv, to my brother’s home, but this would have been much more complicated. So I spent the weekdays with my aunt in Haifa, studying, and the weekends and holidays with my brother and sister-in-law, in Tel Aviv. Their help was a true miracle, as thinking of it retrospectively, being left alone without parents at the age of sixteen, the distance to youth delinquency was shorter than the one to the high school class. Yet, with the help of these wonderful family members, I managed to continue. Towards graduation from high school I had to make a decision. The regular track would have taken me, like most Israelis, to national compulsory service in the Israeli Defense Forces, IDF, a duty we were all eager to fulfill. In addition to the regular service, the army encourages certain high school graduates to postpone their service and first obtain a university education, particularly in areas that are relevant to the military, such as medicine and different disciplines in engineering and sciences. Lacking any financial support, I thought it would be better to acquire a practical profession I could make a living from as soon as I could. As I mentioned, medicine emerged as a compromise between the complexity and mysteries of biological mechanisms to what I thought are the already well founded physics and chemistry. Not less important, medicine has traditionally been the ultimate in “Jewish” professions, the dream of every Jewish mother and family. What also attracted me to medicine is that I was under the impression that diseases can be cured: as children, we may have been influenced by short, self-limiting diseases that affected us, like influenza and measles, and were not directly aware of the major killers that left physicians and scientists alike helpless (much like these days), such as malignancies, vascular diseases and neuro-degenerative disorders: I had not appreciated at the time how far more descriptive medicine is, much more than biology. Practically and not less important (which helped solve my dilemma), was the fact that biology was not an option in this military-supported service postponement program. Last but not least, it was a practical choice, a profession one can make a living on. So, after a fierce competition I was accepted into the only medical school in Israel at that time, that of the Hebrew University and “Hadassah” in Jerusalem (1965). The first four years (1965-1969) were exciting. We studied basic and clinical sciences, and I started to seriously entertain the idea of broadening my knowledge base in biochemistry or pharmacology. Towards the end of the 4th year, once we started to examine patients, serious doubts had begun to arise whether I made the right choice and truly want to become a practicing physician. The imbalance between phenomenology and pathogenetic mechanisms of diseases on one hand, and the lack of any mechanism-based treatment for most of the major killers on the other hand, made me seriously think that I was on the wrong trail. I felt restless and started to realize how little we know, how descriptive is our understanding of disease mechanisms and pathology, and as a consequence how most treatments are symptomatic in nature rather then causative. The statement “with God’s help” that I heard so frequently from patients that were praying for cure and health, took on a real meaning. I had a feeling clinical medicine was going to bore me, and decided to take one year off in order to “taste” true and “wet” basic research. The Faculty of Medicine had a special, one year program for the few who elected to broaden their knowledge in basic research, and I decided to major in biochemistry. I had to convince my brother that this was the right thing to do, as I needed his help to further postpone my military service by one year. This was not easy, as he too had a “dream” – to see me independent with a profession from which I could make a living, and which in the traditional Jewish spirit was nothing else but practical medicine. Following our parents’ death, he felt he was responsible for my future and well being, and wanted to see me professionally and financially independent as soon as he could. I nevertheless managed to convince him, and during that year (1969-1970), under the guidance of excellent biochemists, Jacob Bar-Tana and Benjamin Shapira, I investigated mechanisms of CCl4-induced fatty liver in a rat model, and discovered that it may be caused, at least partially, by an increased activity of phosphatidic acid phosphatase, a key enzyme involved in di- and triglycerides biosynthesis. Completing this research year (and obtaining a M.Sc. degree), I knew I had found a new love – biochemistry. Jacob and Benjamin walked me through the exciting maze of biochemical pathways, and I was mystified. Yet, the consummation was still far away. Being loyal to the promise I made to my brother, and also to my commitment to the Israeli army, I completed the clinical years (1970-1972) and graduated from Medical School. My military service and professional career – have they collided with one another? Following graduation, it was time to repay my national debt and serve in the IDF. I served for three years (1973-1976) and did it gladly. Serving in the army has always been regarded as an integral and important part of Israeli life, and an entry card to its society, giving one the feeling of sharing – everyone takes part in protecting this land and its inhabitants. In addition, the service itself was extremely interesting, technically, but also socially and historically. Technically, since I served in interesting units. Socially, since the military service is a wonderful humane experience, the best melting pot one can go through, generating true friendships during hard times, friendships that are therefore deep, true and lasting. Historically, it spanned an interesting period. Initially I served in the navy, as a physician in the missile boats fleet. The year was 1973, immediately after the October Day of Atonement (Yom Kippur) war, and Israel faced a problem of protecting its southern gates, the Red Sea and the marine entry to its port in Eilat. Marine transportation through the southern gates of the Red Sea, Bab-el-Mandeb strait, and the narrow Tiran (Sharm-a- Sheikh) strait were threatened by the Arab countries that neighbored the water way, mostly Saudi Arabia and Egypt, but also Yemen and Somalia, and Israel had to stretch its marine arm. To do so, it was necessary to transfer missile boats from the main naval bases in the Mediterranean to the Red Sea. At that time Israel did not have diplomatic relations with Egypt, and the Suez Canal was blocked by ships sunk by the Egyptians during the June 1967 Six Day War. Thus, the decision was to bring the boats from Haifa to Eilat, sailing via the Mediterranean Sea, the Gibraltar strait and around the West and then East coasts of Africa. I was the physician on the “Reshef”, one of the two modern Israeli missile boats that were built in the Haifa naval shipyard. One can imagine that for small missile boats, such a long, several weeks voyage, a large part of it in the open Oceans, is rather complicated, and for many reasons also risky. Beyond fuelling and provision of supplies and spare parts to the crews and boats, one has to think of sailing in waterways surrounded by hostile countries, many miles away from home and a long flight distance for the Israeli Air Force. Another problem was obviously medical, how one treats emergencies, from possible gunshot wounds through “simple” daily problems like appendicitis, in a small ship, far from any medical facility and with limited diagnostic and treatment capabilities. I was particularly concerned, as I was a young physician with almost no clinical experience. I assume this would have been a challenge for more experienced physicians as well. Luckily, the voyage was smooth. The remaining part of my three-year service was also interesting. I spent that time in the Research and Development (R & D) unit of the Medical Corps, developing a broad array of sophisticated devices for the soldier in the battlefield. Because of the broad range of experiences acquired, the military service has been my ever best school for real life “sciences”. During all these years (1973-1976) I maintained tight connections with Avram and fulfilled my duties as an “external” department member: during vacations from the military, and along with other members of the department that grew meanwhile, I taught continuously the course in Clinical Biochemistry to 3rd year medical students. I should mention in particular Michael (Mickey; see also below) Fry, with whom I have remained a good friend to the very present. Also, in 1975, during the military service, I married Menucha, a physician and a graduate of Tel Aviv University School of Medicine. Menucha was a resident in internal medicine in Tel Aviv Municipal Hospital, and we built our first home in this city. Marrying Menucha brought my wanderings to an end, and I felt I had again a family and a home. During all the years since the death of my father (1963-1975), I did not have a real stable home, and I wandered between the homes of my brother and sister-in-law in Tel Aviv and of my aunt in Haifa. They were truly wonderful, but I needed a base, and Menucha, with her quiet approach and warm acceptance, along with our beautiful apartment, provided me with this, so much needed, shelter. Towards the end of the military service, I had to make what I assume has been the most important decision in my career: to start a residency in clinical medicine, in surgery, which was my favorite choice, or to enroll into graduate school and start a career in scientific research. It was clear to me that I was heading for graduate school. My disillusionment from clinical medicine that diseases can be cured based on understanding their pathogenetic mechanisms, along with a magical and enchanting attraction to biochemistry made the decision easy. I received a strong support and encouragement from my wife Menucha, who started to realize she was married to a student in sciences with no clear future rather than to the physician with a bright career and broad financial horizons that she thought she had married. So in November of 1976, after my discharge from the national military service and a two-month driving trip across the USA, I started my graduate studies with Avram Hershko. At that time his group focused mostly on studying intracellular proteolysis, and I learnt from him that he had given up on trying to identify the mediator(s) and mechanism(s) involved in serum-induced “pleiotropic response”. The model system that was chosen to study proteolysis was degradation of abnormal hemoglobin in the reticulocyte which is the terminally differentiating red blood cell. The reason for the selection of the reticulocyte as a model system was that we were looking for a non-lysosomal and energyrequiring proteolytic system, as from many studies it had become clear that regulated proteolysis of intracellular proteins is non-lysosomal (see the accompanying Nobel Lecture), and the reticulocyte no longer contains lysosomes which are removed during the final stages of its maturation (see below) before its release into the circulation. Interestingly, in the summer of 1978, during a Gordon Conference on Lysosomes, I met Dr. Alex Novikoff from Yeshiva University School of Medicine in New York. Alex, along with Dr. Christian de Duve, was one of the pioneers of the lysosome research field. When I told him we were working on the reticulocyte because this cell does not have lysosomes, he angrily dismissed this argument, telling me that he characterized morphologically acid phosphatase-positive organelles in reticulocytes. He even gave me the relevant paper he published on the subject, though it was not clear that these are proteolytically functional organelles. Another reason for the choice of the reticulocyte as a model for studying intracellular proteolysis was that in its final stages of maturation in the bone marrow and prior to entering the peripheral circulation, a massive proteolytic burst destroys most of its machineries, making it clear that the cell is equipped with an efficient proteolytic system. Earlier studies by Rabinovitz and Fisher demonstrated that the reticulocyte degrades abnormal, amino acid analogue-containing hemoglobin, yet the mechanisms had remained elusive. We assumed that the same mechanism that is involved in differentiation and maturation of the reticulocyte is also involved in the removal of “naturally occurring” mutant abnormal hemoglobins that are synthesized in different hemoglobinopathies, such as thalassemias and sickle cell anemia, and also in the destruction of the amino acid analogs – containing abnormal hemoglobins. We wanted to believe and hoped that this mechanism would turn out to be “universal”, and involved in degradation of normal proteins in all cells. Years later this assumption turned out to be correct. Thus, this important piece of information – the existence of a non-lysosomal proteolytic system, made the choice of the reticulocyte an obvious one. It was still necessary to demonstrate that the process requires energy, and indeed, following our initial characterization of degradation of abnormal hemoglobin in the intact cell, we showed that the process required energy (was published in 1978 in the proceedings of a proteolysis meeting held in Buffalo, NY), and felt that the time was ripe to break the cell open and isolate and characterize the non-lysosomal and ATP-dependent proteolytic enzyme(s). Shortly before, in 1977, Dr. Alfred Goldberg and his post-doctoral fellow Dr. Joseph Etlinger at Harvard Medical School characterized, for the first time, a cell-free proteolytic system from reticulocyte, which was exactly the point where we wanted to start our own march, so we basically adopted their system. I will not describe here the detailed history of the discovery of the ubiquitin system, but rather highlight two important points along the five years of my exciting graduate studies (1976-1981) with Avram and Irwin A. Rose (Ernie) that led to the discovery of the system. The more detailed history can be found in several review articles written on the system at that time (most notable is Hershko, A. and Ciechanover, A. (1982). Mechanisms of Intracellullar Protein Breakdown. Annual Review of Biochemistry, 51, 335-364.) 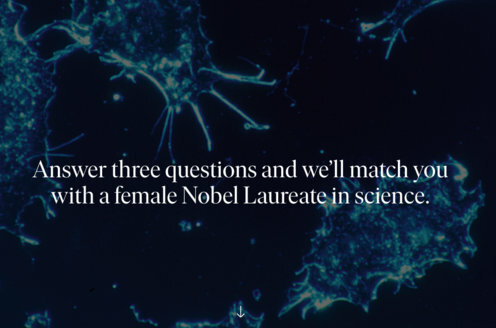 and later, and in the accompanying Nobel Lecture. (1) The first point relates to the multiplicity of enzymatic components of the system: Our first aim along the purification process of the ATP-dependent “protease” was to remove hemoglobin, the major protein in the crude extract. Towards that end, we resolved the extract on an anion exchange resin, where we encountered already the first exciting finding. The proteolytic activity could not be found neither in the non-adsorbed material which we denoted Fraction I, nor in the high salt eluted material (denoted Fraction II). Rather, we recovered the activity following reconstitution of the two Fractions. We learnt two important lessons from this experiment which was published in 1978 in Biochemical and Biophysical Research Communications (BBRC; in my opinion the first paper in the long historical trail of the ubiquitin system) and which I regard as one of two or three key publications in the field. We learnt two lessons from this experiment: (i) The first was that the protease we were after was not a “classical” single enzyme that degrades its substrate, but had at least two components. This was already a digression from the paradigm in the field at that time that proteolytic substrates, almost without exception, can be cleared, at least partially, by single proteases with limited, yet defined specificities. Now, following the unraveling of the human genome and the discovery of important common structural domains within several groups of enzymes of the system, we know that the number of components of the ubiquitin system exceeds one thousand, but the first hint was already there; once one is left without a paradigm, all possibilities are open. (ii) The second lesson was a methodological one. Each time we lost activity during purification of any of the components we were characterizing, we “returned” to the chromatographical column fractions and tried to reconstitute it via complementation: “classical” biochemistry at its best was on our side. Standing at a crossroad, we – luckily but thoughtfully – decided to start first with purification and characterization of the active component in Fraction I. We decided so because Fraction I was the hemoglobin-containing fraction that did not adsorb to the resin, and since many proteins do absorb, we thought that this fraction should not contain too many additional proteins beyond hemoglobin, and it would be easy to purify the active component. Ten months after I started my studies (summer of 1977), Avram started his sabbatical with Ernie at the Fox Chase Cancer Center in Philadelphia, PA, USA, and left me with the task to purify the active component from Fraction I. After many unsuccessful trials along with another graduate student of Avram, Yaacov Hod, my colleague Mickey Fry, who was appointed as my substitute thesis advisor for this year (1977-1978), came with the “crazy” idea to heat Fraction I and see if the active component is heat-stable, and indeed it was. He did so as all our attempts to resolve the activity – despite the large difference in the molecular mass between the active protein (~10 kDa) and hemoglobin, the other major protein in Fraction I (65 kDa) – failed: hemoglobin, that is so abundant, “contaminated” the entire resolution span of each column in every single resolution method we used. Following 5-10 min at 90°C, the hemoglobin in crude Fraction I was “cooked” and precipitated like mud, and the activity remained soluble in the supernatant. It was hard to believe it was a protein, but Mickey remembered several other heat-stable proteins. Immediately after, we showed directly that the activity in Fraction I was also a protein: it was sensitive to trypsin and precipitable with ammonium sulfate. Further characterization revealed that the protein had a molecular mass of ~8,500 Da, and we called it ATP-dependent Proteolysis Factor-1, APF-1, to denote that this was the first component in the system that we characterized. All along the way I corresponded with Avram, sent him my results, and during his sabbatical we wrote the BBRC paper. (2) The second key finding was also discovered in Haifa during the winter of 1978-1979. We purified APF-1 to homogeneity and labeled it with radioactive iodine. When the radio-labeled protein was incubated in crude reticulocyte Fraction II in the presence of ATP, we observed a dramatic increase in its molecular weight: it now migrated as a sharp peak in the void volume of the gel filtration chromatographical column. For several months we tried to elucidate the mechanism that underlies the change in the molecular weight of APF-1, hypothesizing, for example, that APF-1 could be an activator of a protease that must generate a binary complex with the proteolytic enzyme in order to activate it, but to no avail. An important breakthrough occurred during our 1979 summer stay of several months in the laboratory of Ernie. Through a series of extremely elegant, yet simple, experiments, in the design of which the broad knowledge of Ernie in protein chemistry and enzymology played a critical role, we found that APF-1 is covalently attached to the substrate through a bond that had all the characteristics of a peptide bond. Furthermore, we found that multiple moieties of APF-1 are attached to each substrate molecule, and that the reaction is reversible: APF-1 can be removed from the substrate or its degradation products and recycled, though not via reversal of the conjugation reaction. Accordingly, we hypothesized that covalent attachment of multiple moieties of APF-1 to the target substrate is necessary to render it susceptible to degradation by a downstream protease that recognizes only tagged but not untagged proteins, followed by the release of free and reusable APF-1. The APF-1 cycle predicted the existence of three, entirely novel activities: (i) APF-1 conjugating enzyme(s), (ii) a protease that recognizes specifically the tagged substrates and degrades them, and (iii) APF-1-recycling enzymes. All these activities were identified later by us (the three conjugating enzymes, E1, E2, and E3) and by others (the conjugates degrading protease known as the 26S proteasome complex, and the ubiquitin recycling enzymes, the isopeptidases; see the accompanying Nobel Lecture). The findings describing the covalent tagging of the target substrate by APF-1 as a degradation signal, along with the first model of the newly discovered proteolytic system, were published in 1980 in two manuscripts that appeared in the Proceedings of the National Academy of Sciences of the USA (PNAS). Another important development also occurred during our stay in Ernie’s laboratory, and I am not sure whether it was sheer luck or serendipity, probably both. We were not aware of any other precedent of a modification of a protein by another protein. The neighboring laboratories of Martin Nemer, Alfred Zweidler, and Leonard Cohen studied dynamics of variants of different histones during sea urchin development. They drew our attention to a protein called A24 (uH2A) which was discovered earlier by Ira Goldknopf and Harris Busch, and that was a covalent conjugate between two proteins – a small, ~8.5 kDa protein called ubiquitin, and histone 2A (H2A). Goldknopf and Busch, and in parallel Margaret Dayhoff, identified the nature of the bond between the two protein moieties in the conjugate. They found that the ubiquitinhistone bond was an isopeptide/bifurcated bond between the C-terminal Gly76 residue in the ubiquitin moiety, and the e-NH2 group of Lys119 in the histone moiety of the conjugate. The role of this conjugate was not clear at the time, though its level was found to be dynamic and change during differentiation, when the histone moiety is subjected to ubiquitination and de-ubiquitination. This information on the ubiquitin-histone adduct along with the striking similarities we found between APF-1 and ubiquitin in their general characteristics such as molecular mass and amino acid composition, led Keith Wilkinson and his colleague Arthur (Art) Haas who were post-doctoral fellows in the laboratory of Ernie, along with Michael Urban from Zweidler’s laboratory, to carry out a series of direct experiments, showing unequivocally that APF-1 is indeed ubiquitin. Our study on the characterization of APF-1 and its possible similarity to ubiquitin, and Wilkinson’s study (along with Urban and Haas) on the identification of APF-1 as ubiquitin, led to the convergence of two fields, that of histone research and of proteolysis. More important, they suggested that the bond between ubiquitin and the target proteolytic substrate might be identical to that between ubiquitin and histone, which turned out later to be true. The two studies were published in tandem in 1980 in the Journal of Biological Chemistry (JBC; see the accompanying Nobel Lecture). The identification of the nature and structure of the bond clearly paved the road to the later purification and characterization of the conjugating enzymes and their mode of action. As for ubiquitin, the protein was identified in the 1970s by Gideon Goldstein (in the Memorial Sloan-Kettering Cancer Center in New York City) as a small, 76 residue thymic polypeptide hormone that stimulates T cell differentiation via activation of adenylate cyclase. Additional studies by Gideon Goldstein had suggested that it was universally distributed in both prokaryotes and eukaryotes, thus giving rise to its name (coined by Gideon Goldstein). Later studies by Allan Goldstein showed that the thymopoietic activity was due to an endotoxin contamination in the protein preparation, and not to ubiquitin. Using functional assays, it was found in my laboratory (and I believe that in several others as well) that ubiquitin was limited to eukaryotes, and its apparent presence in bacteria was due to the contamination of the bacterial extract with the yeast extract in which the bacteria were grown: growing the bacteria in a synthetic medium containing carbon (glucose) and nitrogen (ammonium chloride) sources and vitamins resulted in “disappearance” of ubiquitin from the preparation. The later unraveling of the bacterial genome demonstrated unequivocally that the ubiquitin tagging system does not exist in prokaryotes, though there is some similarity between the proteasome and certain bacterial proteolytic complexes. Thus, in a relatively short period of time, ubiquitin was converted from a ubiquitous thymopoietic hormone to a eukaryotic proteolytic marker. While it appeared that the term ubiquitin was not justified anymore, as it is clearly not ubiquitous, we stopped using the term APF-1 and adopted the term ubiquitin for the modifying protein in the newly discovered proteolytic system. At times habits and tradition are stronger than the scientific validity and/or the logic in nomenclature. Accordingly, we adopted a general policy to use in our terminology the name/term that was first coined by the discoverer of any novel protein. From that point on, the road was relatively short to the identification and characterization of the conjugation mechanism and the three enzymes involved in this process. En route we followed partially, with great admiration, the footsteps of Dr. Fritz Lipmann, the great biochemist from the Rockefeller University (who was awarded the 1953 Nobel Prize in Physiology or Medicine for the discovery of Coenzyme A). Lipmann continued to contribute enormously to our understanding of basic biochemical processes. Among his many discoveries was the mechanism of non-ribosomal (and hence non-genetically encoded) peptide bond formation that is involved in the biosynthesis of bacterial oligopeptides such as Gramicidin S. We learnt that the basic biochemical principles, such as generation of high-energy intermediates involved in peptide bond formation, were preserved along evolution regardless of whether the bond is encoded genetically or not, or whether it links two amino acids, or two proteins, or an amino acid to the elongoting polypeptide chain. Initially, we identified the general mechanism of activation of ubiquitin in crude extract. Later, using “covalent” affinity chromatography over immobilized ubiquitin and a stepwise elution (that was based on the general mechanism we deciphered earlier), we purified the three conjugating enzymes that act successively, in a cascade-like mechanism, and catalyze this unique process: (1) the ubiquitin-activating enzyme, E1, the first enzyme in the ubiquitin system cascade, (2) the ubiquitin-carrier protein, E2, to which the activated ubiquitin is transferred from E1, and (3) the ubiquitin-protein ligase, E3, the last and critical component in the three step conjugation mechanism that specifically recognizes the target substrate and conjugates it with ubiquitin. The E3 was also adsorbed to the immobilized ubiquitin, although via a yet unknown mechanism, distinct from that of E1 and E2: the binding of these two enzymes was mediated by the activation mechanism. Later studies by Avram in the late 1980s revealed that the E3 adsorbed by the column was E3a that recognizes substrates via their N-terminal residue. At this point, however, unknowingly and unintentionally, we were extremely lucky when we used as model substrates commercial proteins such as BSA, lysozyme and RNase, that were all recognized (as we learnt later) by this ligase and via a similar targeting motif – their N-terminal residue. Had we used other substrates, such as globin, the protein we used in our initial experiments, the E3 adsorbed to the column would have probably escaped our attention, as E3s do not typically adsorb to ubiquitin. Independently, and in parallel to the later characterization of the enzyme by Avram, I also used this enzyme in order to characterize a distinct subset of proteins recognized via this signal (see below). Lastly, using antibodies that we raised against ubiquitin with the help of Arthur Haas, we found that the ubiquitin system is involved in degradation of abnormal, short-lived proteins in hepatoma cells, demonstrating that the system is not limited to the terminally differentiating reticulocyte, but is probably distributed “universally” in nucleated mammalian cells, playing an important role in maintaining the cell’s quality control, by removing abnormal proteins. During my graduate studies at Avram’s laboratory, I collaborated with Hannah Heller, an extremely talented and knowledgeable research associate (who also joined us for some of our summer stays in the laboratory of Ernie in Philadelphia), and with Yaacov Hod, who was also a graduate student with Avram at that time. Other colleagues in the laboratory provided me with a lot of help during this period, including Dvorah Ganoth, Sarah Elias, and Esther Eythan who were research associates with Avram, and Clara Segal and Bruria Rosenberg, two dedicated technicians. As noted, I spent an important part of my graduate studies in Ernie’s laboratory. Avram spent a sabbatical in his laboratory in 1977-1978, and I joined him for the first time for several months in the summer of 1978, after I completed the initial characterization of APF-1 in Haifa. I returned to Ernie’s laboratory during the summers of 1979, 1980, and 1981. As noted, during our summer stay in 1979, we resolved the problem of the nature of the high molecular mass “compound” generated when APF-1 was incubated with Fraction II in the presence of ATP. This change in the molecular mass of APF-1 was discovered several months earlier in Haifa. However, we were not able to unravel the nature of the “compound”; this had to await the knowledge and wisdom of Ernie. In a breakthrough discovery, we found that the target substrate is covalently modified by multiple moieties of APF-1, a reversible modification that renders the protein substrate susceptible to degradation. This was a novel type of post-translational modification (see, however, above for the modification of histone H2A by ubiquitin) and clearly a new biological paradigm, that the elucidation of which required – as I feel today in retrospect – a different type of knowledge in biology and enzymology, and an original experimental approach. Elucidation of this modification would not have been possible without Ernie’s advice that was based on his immense knowledge in enzymology and protein chemistry, accompanied by his unbiased original thinking and approach to problem resolving. This discovery, along with the discovery in 1980 that APF-1 is ubiquitin, made Ernie and his fellows critically important partners in the historical trail of the discovery of the ubiquitin system. Interestingly, Ernie studied proteolysis before Avram joined him first, but had never published in the field before. The five years in graduate school had a significant impact on my future career. Not only because I played an active part in the discovery of such an important pathway, but maybe more important, because I learnt several basic and key principles on how to approach a scientific problem. From my mentors I learnt two principles: first, to select an important biological problem, preferably an unobvious one and not in the mainstream, and second, to make sure that there are appropriate research tools to approach it experimentally. I also learnt to become a long books author rather than a short story writer: I learnt not to be opportunistic but rather to adhere to a project, to dig deeply into a problem, to resolve it mechanistically, to unravel complex mazes – peeling them like an onion, not to be tempted to be dragged after fashions. I learnt to pay attention to small details, to carefully examine hints, as the important findings are not always obvious from the apparent results. I learnt to be stubborn, to fight difficulties uphill, but most importantly, to be critical: I believe I developed good senses that enable me to distinguish false from truth, and artifacts from meaningful findings. Interestingly, I learnt all these principles not in frontal lessons or formal presentations, but as an apprentice, following my mentors’ own attitude and way of thinking. At the same time I also learnt to question, to doubt, to ask, and to discuss, to follow my own gut feeling when it was necessary, not to always take advice and direction for granted, and to trust myself too. It did help in many occasions along the way. Thus, at times I found myself swimming alone against the stream. Altogether, these principles generated an important philosophy and shaped my approach to science, something I try to instill in my own students, as I strongly believe it is the only way one can make an impact, leave an imprint behind. Towards graduation I had to think of the next step – post-doctoral training and planning of my future career as an independent scientist. I was in a dilemma. On the one hand, I knew it was important to obtain training somewhere else, under different mentorship, in a different environment, being exposed to a different culture of science. On the other hand, I knew for certain that the ubiquitin system was extremely important and that we were seeing only the tip of its iceberg. I therefore wanted to continue my studies in a related field, learning more on regulated proteolysis, but also to continue my own studies on ubiquitin. I had several ideas in mind on where to go, but the choice was quite narrow and also risky, as I did not have any idea of how much independence I could have as a post-doctoral fellow. Searching for a mentor, and with the advice of my colleague Mickey Fry, I looked for scientists whose work was related to regulated proteolysis. I wrote to Günter Blobel in the Rockefeller University, who worked at that time on translocation of proteins across the endoplasmic reticulum (ER) membrane, a process that involves cleavage of the leader peptide by signal peptidase, to Jeffrey Roberts in Cornell University who worked on E. coli RecA protein-directed cleavage of phage l repressor and its requirement for polynucleotide, and to Harvey Lodish at the M.I.T. who worked, among other subjects, on processing of viral polyproteins. I am not sure Harvey was that impressed with the ubiquitin system at that time, but he was the only one to respond positively. Typical of his etiquette (as I learnt later), his response was prompt and direct, and he invited me for an interview after which he accepted me. Günter was kind enough to let me know he did not have space in his laboratory at that time, and Jeffrey never responded. With two fellowships, one from the Leukemia Society of America and one from the Israel Cancer Research Fund, ICRF, I started a period of three wonderful years (1981-1984) in Harvey’s laboratory in the Department of Biology at M.I.T. Harvey gave me complete freedom to choose my research subjects. What I had in mind was to take advantage of the exceptional strength of the laboratory and Harvey’s unique expertise in cell biology, but in parallel, to continue my own studies on the ubiquitin system. I realized that Harvey was no longer interested in viral proteins processing, and along with Alan Schwartz who was a visiting scientist (from Harvard Medical School) in the laboratory, we started to characterize the transferrin receptor on a human hepatoma cell line with the aim of disseding the dynamics of the receptor and iron delivery into cells. This collaboration led us, along with another fellow in the laboratory, Alice Dautry-Varsat (from the Pasteur Institute) who joined us later, to the discovery of a fascinating mechanism of how iron is delivered into cells, a process mediated by the transferrin receptor: In the neutral pH of the growth medium, the iron-loaded holo-transferrin binds to its receptor with a high affinity and is endocytosed into the cell. At the low endosomal pH, the affinity between iron and transferrin is weakened dramatically. As a result, the iron cation is released, but the apo-transferrin, which has high affinity for the receptor at acidic pH, remains bound strongly. Along with the receptor, the apo-transferrin recycles to the cell surface. At the neutral pH of the growth medium, the apo-transferrin loses its high affinity to the receptor and is released into the neutral pH extracellular fluid. There, it binds iron with high affinity, rebinds to its receptor and the hololigand is endocytosed again. The transferrin-transferrin receptor pH- and iron loadingdependent cycle has become a “classic” in the field of receptor mediatedendocytosis. Based on this mechanism, other phenomena related to receptor and ligand recycling to the cell surface or targeting to the lysosome could be explained, which are also due to the pH difference between the external environment and the interior of the endocytic pathway vesicles. However, throughout this time, I lived under the strong feeling that the ubiquitin system had barely started to emerge, with only the basic principles unraveled: I felt compelled to get back and work on it. So gradually I started to “crawl” and return to my alma mater’s research subject. On one fascinating subject I worked on my own, continuing to explore a mysterious finding I discovered during my graduate training and which I did not pursue at the time: When we purified APF-1/ubiquitin in Haifa, we noticed a large discrepancy between its dry weight and its Lowry or 280 nm protein quantitative measurements. We hypothesized that the protein can be a ribonucleoprotein, RNP, and the remaining mass is that of the nucleic acid component. To test this hypothesis, I added DNase to the crude extract in which we monitored ATP- and ubiquitin-dependent degradation of BSA, that was used as one of our model substrates. The enzyme had no effect. We then added RNase A, and to our surprise proteolysis was completely inhibited, even with an extremely small amount – mere few nanograms – of the enzyme added: it looked as if the enzyme exerted its effect via catalysis – RNA degradation. Avram suggested to test the RNase effect also on lysozyme, a protein that was used as our second model substrate. Here we got no effect, which was kind of a surprise, as proteolysis of the two substrates, BSA and lysozyme, behaved in an identical manner all along the way: ATP as well as all the different factors we resolved from the crude extract, were all required for the degradation of both proteins. Avram suspected that the RNase effect could be an artifact. Meanwhile APF-1 was identified by Keith Wilkinson and his colleagues as ubiquitin (see above), and the amino acid sequence/composition of ubiquitin disclosed the “secret” of the dry weight/protein measurement discrepancy – the molecule has a single tyrosine residue. So we decided not to pursue this subject, and the selective inhibitory effect of RNase A on BSA degradation had remained an unsolved mystery – for the time being. I had not stopped suspecting, however, that the findings must represent some true biological phenomenon, and used the opportunity of my independence at Harvey’s laboratory to pull out the late 1970s results from my notebook and start dissecting the RNase effect in a systematic manner. With some advice from Alexander Varshavsky (Alex; M.I.T. ), and a lot of help and reagents from Joan Steitz (Yale), Harvey Lodish and Uttam RajBhandary (M.I.T. ), I managed to make some progress. I discovered that the degradation of BSA was completely dependent on specific tRNAs, that of Arg and His, and that the destruction of the tRNA led to inhibition of the reaction. The nature of the mechanism of action of the tRNAs and the problem of why the degradation of lysozyme was insensitive to RNase had remained a mystery at that time, which was resolved only when I returned to Israel and established my own laboratory (see below). The other ubiquitin subject I was studying involved a collaboration with Alex Varshavsky and his then graduate student, Daniel Finley – Dan. At that time Alex was studying the role of mono-ubiquitination of histones (for the histone-ubiquitin adduct H2A known also as protein A24 or uH2A, see above). Alex noted a series of publications on a temperature sensitive cell cycle arrest mouse mutant cell, ts85, that was generated and described by the group of M. Yamada. These researchers reported that at the non-permissive temperature, the cell lost the histone H2A-ubiquitin adduct. With the ubiquitin cycle unraveled we surmised that this loss could be due to one of two defects: (i) loss of ubiquitination, or (ii) activated de-ubiquitination. Planning our experimental approach, we thought that the defect in these cells is more likely due to loss rather then to gain of function, and we set to dissect the defect. The idea was that the same defect in monoubiquitination of the histone may affect also protein degradation which involves polyubiquitination, though it was clear that the single modification of the histone molecule by ubiquitin does not lead to its targeting to proteolysis. Identification of the biochemical defect in the cells was not too difficult, as we used the isolation technique of the conjugating enzymes developed in Haifa and demonstrated that the defect results from a temperature-sensitive ubiquitin-activating enzyme, E1, the first enzyme in the ubiquitin system cascade (see above). Importantly, inactivation of the enzyme led to inhibition of ubiquitin conjugation to the general population of cellular proteins and was not confined to inhibition of conjugation of histone H2A. Consequently, degradation of both abnormal and normal shortlived proteins was also inhibited, demonstrating that the same enzyme that is involved in ubiquitin activation for histone modification, is also involved in activation of ubiquitin for modification of substrates destined for degradation. We were very lucky in the sense, as if the defect would have been more specific, involving an E3 that targets several substrates, or “worse”, a specific histone E3, we could not have possibly detected an effect on the degradation of the general population of cell proteins: only a defect in a key enzyme such as E1 could have resulted in such a dramatic effect. Identification and characterization of the cell defect further corroborated our earlier general hypothesis that ubiquitination signals proteins for degradation, and that it also occurs in nucleated cells, a finding we had already demonstrated in Haifa, albeit indirectly (using anti-bodies raised against ubiquitin and monitoring the level and dynamics of ubiquitin-protein adducts under conditions of basal and accelerated proteolysis in hepotoma cells; see above). Since the ts85 cell was also a cell cycle arrest mutant, we hypothesized, but did not show at the time experimentally, that the system may be involved in regulating the cell cycle, an hypothesis that later turned out to be correct. After three years at M.I.T. (1981-1984), it was time to seek for an independent academic position. After many deliberations and despite attractive offers and a strong temptation to stay in the US, I decided to return home, to Israel. With the help of Avram, I obtained an independent academic position in the Department of Biochemistry at the Faculty of Medicine of the Technion (where I graduated), and returned home towards the end of 1984, after a productive post-doctoral period. Importantly, I already had a research subject I wanted to pursue, the effect of RNase on ubiquitin-mediated proteolysis. The years that followed the post-doctoral fellowship (1984-present) have been extremely rewarding. I was happy to return to Israel, to my family and friends, to a place I felt I belong. I established my own independent research group and laboratory, obtained extramural competitive funding, and continued my research on the ubiquitin system. I have been lucky to have, along the years, a group of extremely talented graduate students and post-doctoral fellows. In our first series of studies we elucidated the role of tRNA in the proteolytic process, a subject I discovered as a graduate student and continued to study independently while at the M.I.T. (see above). Along with one of my first graduate students, Sarah Ferber, we demonstrated that proteins with acidic N-termini, Asp or Glu, undergo arginylation at the N-terminus, converting the acidic, negatively charged residue at this site to a positively charged residue. The reaction is catalyzed by Arg tRNA-protein transferase, a known protein with an hitherto unknown function. The enzyme uses charged tRNAArg as a source of activated Arg. Therefore, digestion of the cell extract RNA with RNase A inhibits this reaction. This finding explained the selectivity of the RNase effect to BSA and not to lysozyme: BSA has an Asp residue in the N-terminus, while lysozyme has lysine in this position. Interestingly, the ligase involved in BSA ubiquitination is E3a that was discovered during my graduate studies. As described later by Avram and his gradute student Yuval Reiss, the ligase recognizes several groups of substrates, among them proteins with basic but not with acidic N-termini. Thus, what appeared initially as an artifact turned out to be part of the first specific recognition signal in a target substrate (see below). Parallel to our work on the RNase effect, Avram and Yuval characterized the enzyme and identified on it three distinct substrate binding sites for: (i) basic (the one involved in recognition of basic and Arg-modified acidic Ntermini) and (ii) bulky-hydrophobic N-termini, but also for (iii) larger, yet still undefined “body” sites that reside downstream to the N-terminal residue. Because the enzyme recognized certain substrates at their N(a)-terminal residue, it was termed E3a. In parallel and using a systematic genetic approach in the yeast S. cerevisiae, Alex Varshavsky and his colleagues formulated a general rule (‘N-end rule’) for recognition of all 20 different amino acid residues at the N-terminal site. Research in the laboratory has evolved also in other directions. We have shown that N-a-acetylated proteins are also targeted by the ubiquitin system. This important finding demonstrated that this N-terminally modified “family” of proteins, a group that constitutes a large proportion of cellular proteins, must be targeted by signals that are distinct from the N-terminal residue and reside downstream to it: since they do not have free N-termini, they cannot be recognized by this residue. Along with the discovery of the “body” site in E3a, we felt that N-terminal recognition involves only a small and limited set of proteins, and the mode of recognition of the numerous substrates of the ubiquitin system must be broad and diverse: they must be recognized by multiple and distinct targeting motifs. At that point, the end of the 1980s, we felt it was time to move from studying model substrates to investigating the fate of specific native cellular substrates. We have shown that an important group of cell regulators – tumor suppressors (e.g. p53) and growth promoters (c-Myc) are targeted by the ubiquitin cell free system. We strongly believed that this must be also true for targeting of these substrates in vivo, which later, through the work of many others and our own, turned out to be the case. We continued and demonstrated that, unlike the paradigm in the field until that time, that degradation of proteins in the lysosome proceeds independently from the ubiquitin system – the two proteolytic pathways are actually linked to one another, and ubiquitination is required for stress-induced lysosomal degradation of cellular proteins. This area has later evolved in a dramatic manner, and engulfed involvement of the ubiquitin system in receptor-mediated endocytosis and autophagy. Other studies involved elucidation of some of the mechanisms involved in the two step ubiquitin-mediated proteolytic activation of the centrally important transcriptional regulator NF-KB, demonstration of a role for heat shock proteins in targeting certain protein substrates, and identification of a novel site of ubiquitination – the N-terminal residue of the protein substrate. This modification is clearly different and distinct from recognition of the substrate by E3a at the N-terminal residue. In the latter case, the ligase binds to the N-terminal residue while ubiquitination occurs on an internal lysine residue(s). In N-terminal ubiquitination, modification occurs at the N-terminal residue, while the ligase binds, most probably, to an internal sequence in the protein target molecule. This subject has evolved in a surprising manner and changed another paradigm in the field that ubiquitination is limited to internal lysine(s) of the target substrate; we, and later others, have shown that the phenomenon is not limited to the one protein we identified initially – the muscle-specific transcriptional regulator MyoD, and identified a large group of proteins that undergo N-terminal ubiquitination. This group of proteins contain many that have internal lysine(s), but that from some reason(s) cannot be targeted, but interestingly, also a large group of proteins (such as p16INK4a that plays an important role in cell cycle regulation), that are devoid of any lysine residue. To be degraded by the ubiquitin system, these proteins must undergo N-terminal ubiquitination. These years have not been simple, however. The Technion has traditionally been a school of engineering, and life sciences and biomedicine have been foreign to many of its senior leaders, faculty members and policy planners: we were treated in many ways like step children, and thoughts of closing the medical school have been aired at times. This deeply rooted philosophy, which only now starts slowly to change, has severely hampered development in these fields and had left the body of researchers and infrastructure in these areas small and battling for survival. Unlike leaders in other schools of engineering like M.I.T. and Caltech, the Technion’s leaders failed to forsee the upcoming revolution in biology and medicine and its huge impact on modern technology. However, through a network of wonderful colleagues all over the world (important among them is my friend Alan Schwartz who is currently at Washington University in St. Louis, but was then at Harvard Medical School; see above for the beginning of our collaboration at the M.I.T. ), and fruitful collaborations, I was able to establish an active research group and carry out what I believe was a good and original research program, even under less than optimal, and at times impossible conditions. This was important in balancing my desire to live in Israel, but at the same time to remain at the forefront of the ubiquitin research field that has grown in its importance to become an extremely exciting, yet a highly competitive, area. Last but not least, I owe a huge debt, which I doubt I shall ever be able to repay, to several people who helped me cross critical stormy waterways along my life. My aunt, Miriam, who took me to her house after the death of my father and made her home a new home for me, enabling me to complete seamlessly my high school studies without any interruption. My brother Yossi (Joseph) and my sister-in-law Atara, who opened their home to me during the fragile times of my high school and medical studies, and made sure I would not collapse along the way, emotionally, but also economically. And last, my wonderful wife Menucha and my son Tzachi (Yitzhak, Isaac; called after my late father). They engulfed me with love, care, and deep understanding of my needs, and were always there for me when I was flying high on the wings of my dreams, not always seeing or listening to them or being with them, physically and emotionally. Without all these wonderful life partners, I could not have achieved anything. I also owe special thanks to all my mentors, who each contributed in his own way to my upbringing as a scientist. I owe a big debt to Jacob Bar-Tana and the late Benjamin Shapira from the Hebrew University in Jerusalem, who opened for me the gates to the wonderful maze of metabolic pathways, enabling me fall in love with biochemistry. Their enthusiasm and wisdom convinced me, at a critical stage of my development, to pursue a career in biological sciences. Deep thanks to Avram Hershko, with whom I have come a long way in discovering the ubiquitin system, and from whom I learnt the very basic principles of how to approach a scientific problem. 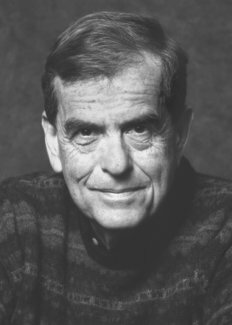 I owe special thanks to Ernie Rose for showing me that methodic thinking is not always necessary in science, and is even interfering at times, and that being erratic and disordered, even absent minded, thinking in a most unconventional manner, can yield wonderful ideas and results. The interaction with Ernie is unique, as it gives one a feeling of instability, casting doubt in one’s basic knowledge and beliefs. The real challenge is to select Ernie’s correct idea, which then takes you high above any traditional, step wise approach. Lastly, I owe a huge debt to Harvey Lodish, who is not only a great cell biologist, but a wonderful spiritual mentor in a different way we tend to think of mentors. He gave me complete freedom to choose my own way, but did not let me fall. He always listened carefully and helped me to analyze my results, and with his deep insight was able to find in the ocean of my numbers and graphic data new routes and pathways that I could have never seen or thought of. He used to gently comment on my approach when he felt I got derailed, and helped redirect me. Yet, he was never imposing: Harvey’s active passive educational approach is truly unique. I owe many thanks to all my colleagues, in particular Alan Schwartz, Iasha Sznajder, Yinon Ben-Neriah, and Kazuhiro Iwai, who helped me in many ways along this long voyage. I must also mention my laboratory research associates, initially Sarah Elias (who also helped me in the initial studies) and then Hedva Gonen and Beatrice Bercovich, who have become my eyes and hands since I established my own laboratory. I should mention the major contribution of Hannah Heller, an extremely talented technician of Avram, who was an integral part of our “voyage” and discovery. Dvorah Ganoth and Esther Eythan also helped us along the way, and Clara Segal and Bruvia Rosenberg provided us with skillful technical help. Last but not least, my wonderful graduate students, fellows and visiting scientists, with whom I made new and exciting ways in the rapidly evolving and exciting ubiquitin field.